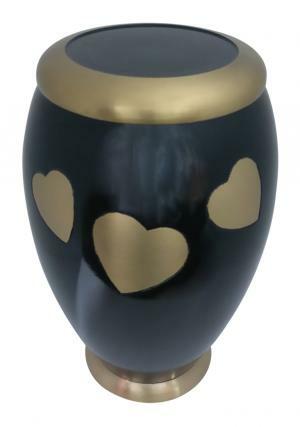 Flat Top Fluttering Monarch Hearts Adult Urn is a bold structured pure brass metal urn with the engravings from skilled professionals. 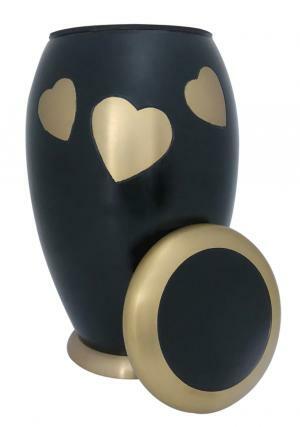 The flat top adult urn is decorated in black with a glossy finish and beautifully picturized gold monarch hearts. 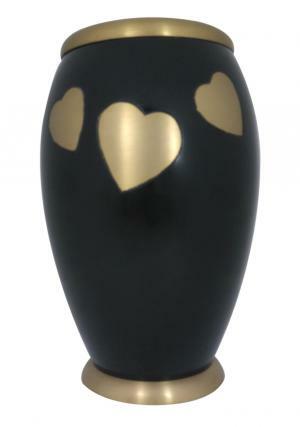 The fluttering Heart Funeral Adult urn has a flat top with glossy black and smooth edged gold frame. 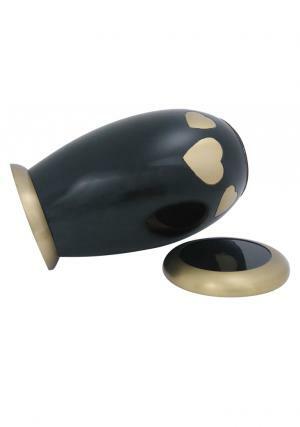 Bottom brass stands as base element and threaded lid to secure the closure of ashes. 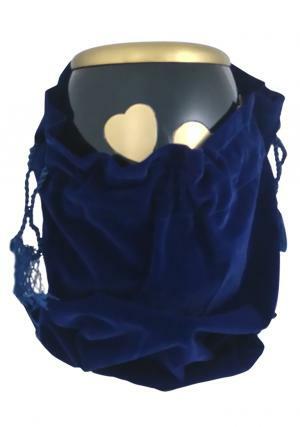 The Adult large cremation urn has the measure to carry 200 cubic inch ashes with dimension as 9.8 inch tall, 6.3 inch width and weighs 2.27 kg approximately.